Here are our latest improvements as we are constantly developing and improving. You can also get updates by following us on Facebook and Twitter. An interesting tool for a league operator is the Player Sanctions available for Leagues. You can sanction players and add the date they were sanctioned. You can even see if they were sanctioned with another Charter. A league operator can now create his own reports. You can choose which sections you want on your report, which stats to show, change stat titles, the font size, the page breaks, etc... Almost everything is editable... except for the actual stats of course!!!!! Players will then have access to these reports by going to General, Reporting. We added a search bar on the mobile application that allows players/followers to type in the name of the event they are looking for rather than scrolling down. We now have a "Favorites" section. When you're on the mobile application or logged in on your desktop, you can click on the Star to make the event fall under your favorites section. This way your events will always be on top. Players are looking for a Floating Spare to replace someone on their team? We now have a section to show the list of floating spares. (Floating Spares aren't assigned to a specific team, they are subs for any team). Available under Statistics/Standings, you now have access to Weekly Stats. That during a tournament you can choose to Scan winners only OR Scan and enter scores/wins? You can even have players Scan or Scan and enter wins/scores. That if you want to change the email you use to log in with, you can? Simply click on your name at the top right when logged in and change the email associated to your login. That you can have your players enter their scoresheets? 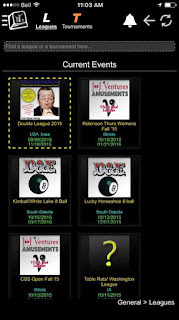 Scorekeepers can fill out scoresheets by having a scorekeeper account. 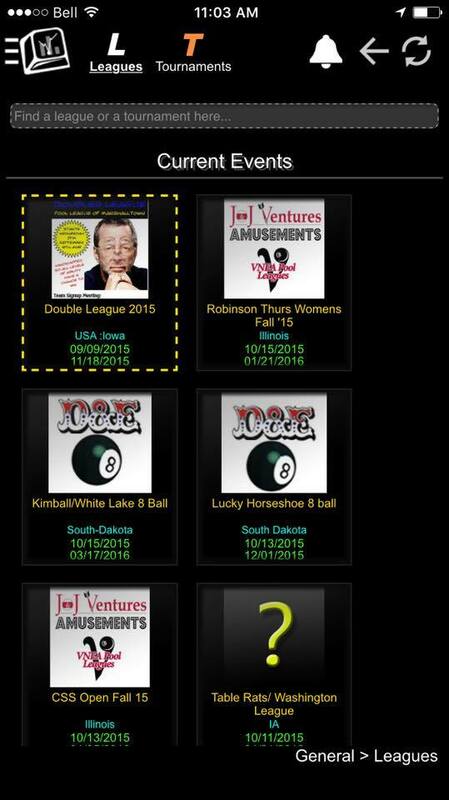 For more information, contact us via email at info@compusport.us or by phone at 888-888-0206. 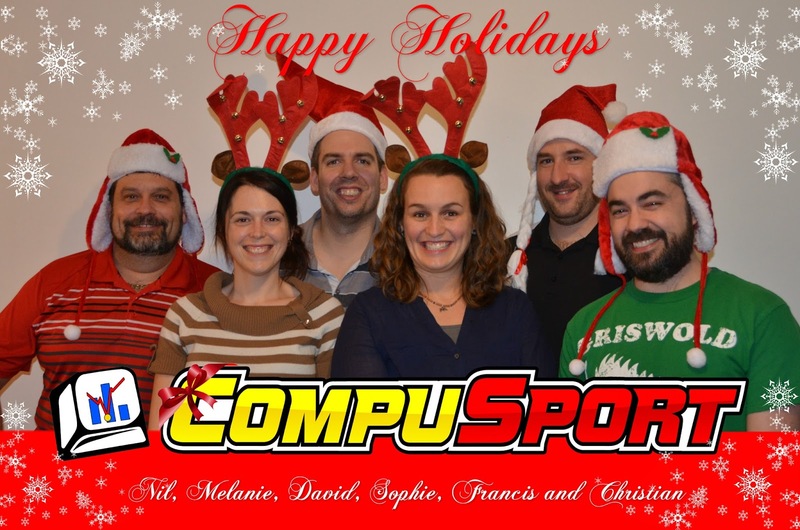 The CompuSport team would like to send you warm wishes and a safe holiday season!!!! 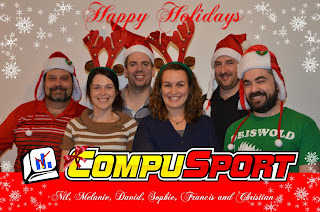 CompuSport 2018. Simple theme. Powered by Blogger.